I have been wanting to do a little art quilt of my house for awhile now. 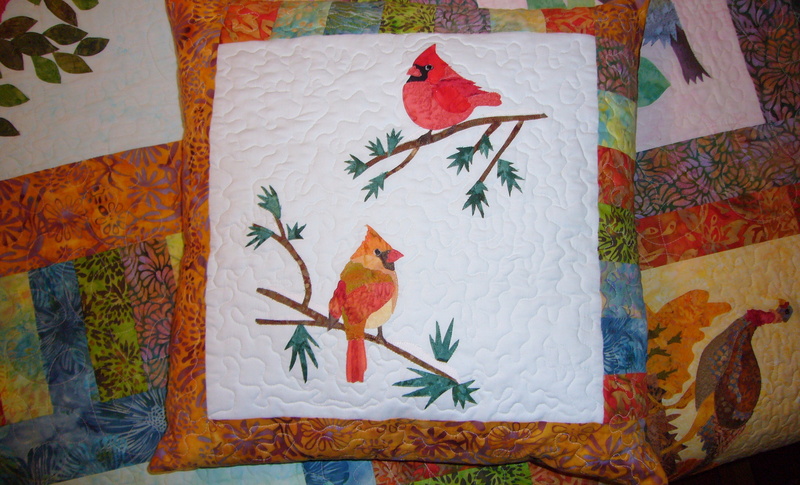 I was thinking in terms of pieces cut and sewn together, but when Quilters Common was offering a class by Sue Colozzi featuring landscaping with raw edge applique I decided to give that a try. The class project was a house … a standard center entrance colonial. My house is a rather unique L shaped cape with a garage underneath. Very 50’s! Not to be deterred I decided to go ahead, with encouragement from Sue, and used a picture of my house for the project. But, I needed to enlarge the picture and rearrange things a bit. I did not want the tree in front of the house! I started with an acrylic painting that I had done, enlarged that and then referred to a photo taken in the summer. I had to add the squirrel, but Bob wanted me to put a car in the driveway …. of course he did! Maybe next time. I am happy with the result, which I think is nicer than the painting. I work better with fabric! Of course, I still need to take the time to finish this quilt. 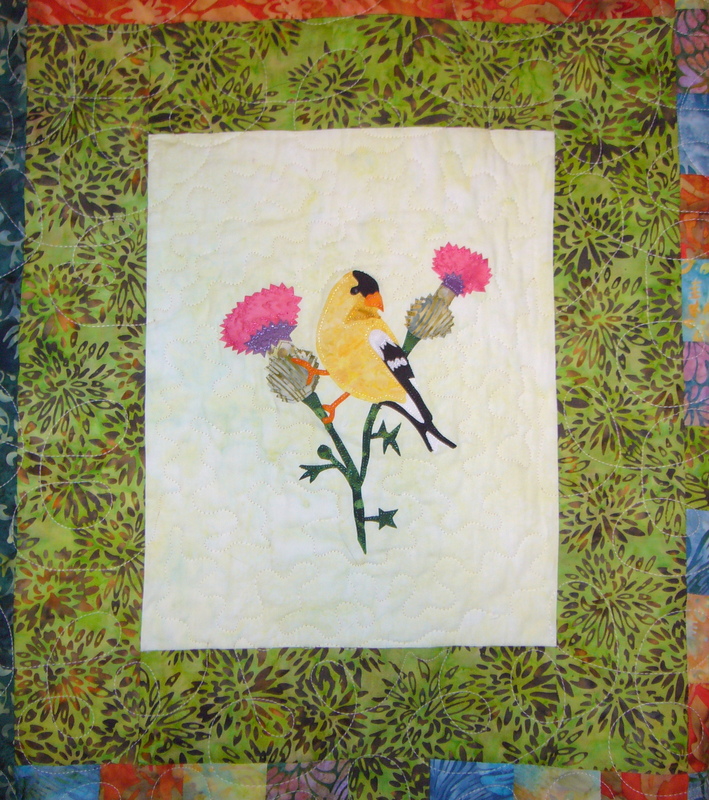 The edges of each piece need to be sewn down, borders added and the whole thing needs to be quilted. My plan is to use my embroidering method, which will mean taking the time to scan the quilt and “program” the stitches and then let my embroidery machine finish it for me! If you decide to try this here is the method I used for fusing the shapes to the background. 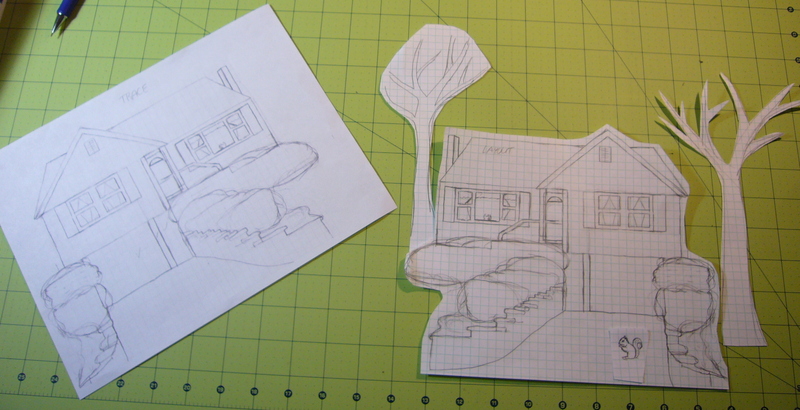 I first drew the house, then I scanned the drawing and printed a mirror image of it. I then took a sheet of Steam a Seam 2, which is a doubled sided fusible web, and traced the shapes from the mirror image, grouping shapes by color. Then I cut out each group of pieces and fused it to the back of the appropriate fabric. Then I cut out the individual pieces and used the original drawing for a guide to place the pieces on the background fabric. 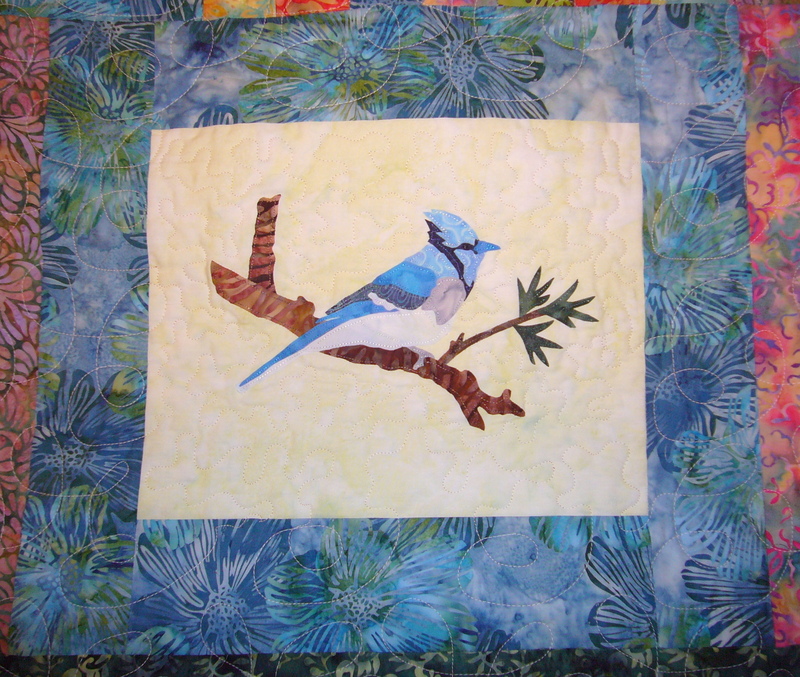 This entry was posted in Applique, Class, Embroidery, Patterns and tagged applique, embroider, lanscape, quilt, raw edge, sew, steam a seam on April 7, 2013 by pmegio.